We're pleased to deliver our fourth update on the current developments surrounding copaltec. We did it! The production for our container shipment to Asia has finally been completed. We're proud that we've been able to adhere to our production plan in detail. Our quality assurance officer has praised the perfect execution and looks forward to the next large order with excitement. After completing the final shipment documents, our preparation for the shipment is now complete. On Tuesday, the container was placed with our logistic partner and and sealed. At the moment, the container is in Bremerhaven waiting to depart. Due to the summer temperatures on the deck of the ship, the container will be constantly cooled so that our product does not overheat. The container is ready for its shipment to Hong Kong and will arrive at its destination port by the end of August. The sales figures at our European retail specialists are also picking up. China isn't the only place where we're watching our revenue figures grow with excitement. BL elektronik, our specialists retailer in Poland, has also made a very positive development. Since 2016, Barbara Ligenza, the woman behind BL elektronik, has been distributing our products in Eastern Europe. Within the first half year of 2017, there was a more than a tenfold increase in comparison to the first half of 2016; this pushed our revenue figures into the five-figure rage. BL elektronik mainly purchases products from our PURe Transparent line. The demand for mixed products with flame retardant and heat conductive properties is also rising. Barbara is happy about the partnership: "The products are of a very high quality and can be obtained in many different packing sizes. 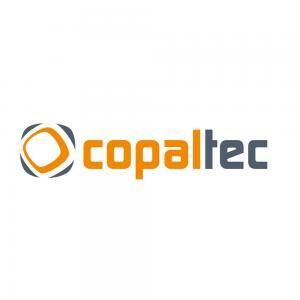 Copaltec offers us excellent technical support and prompt reponses, and I can recommend copaltec as a reliable partner." For August, we have an upcoming order of approx. €5,000. Our production facility is getting fired up again after a short breather. We continue to look forward to the positive cooperation and will be keeping you up to date on things as they progress.